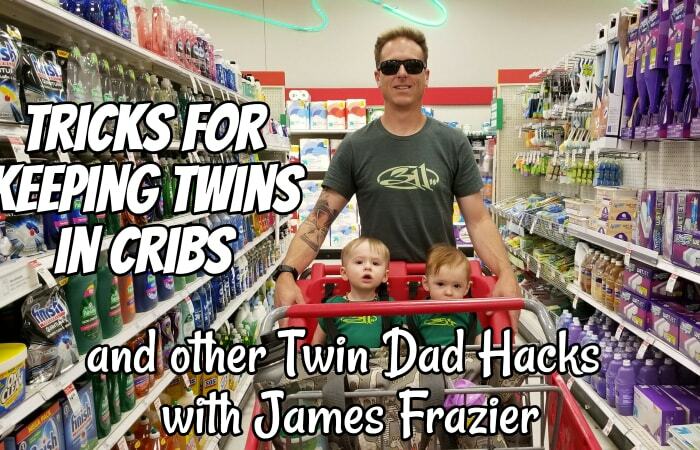 In this episode, I chat with James Frazier, father of fraternal twin boys. 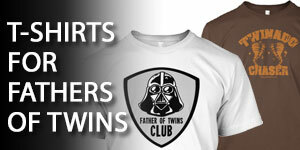 Joe: Hello and welcome to the 176th episode of The Dad’s Guide to Twins podcast. This is Joe Rawlinson. As always, you can find me on the web at twindadpodcast.com where you’ll find the complete transcript and show notes for this episode and all previous podcast episodes. 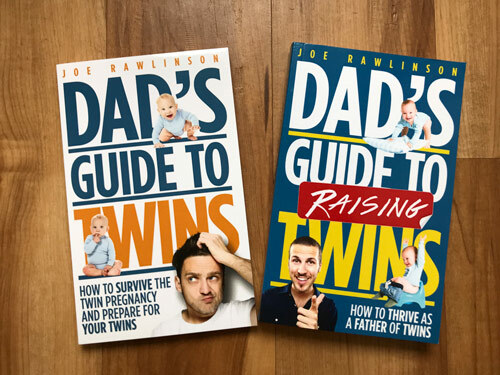 Joe: Today on the show we are continuing our father of twins interview series with fellow father of twins, James Frazier, who shares his journey from the challenges of having twins in the first place to very active toddlers that he has today. 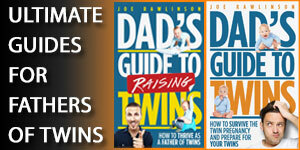 Joe: But before we jump into that interview, I want to invite you to check out my book, Dad’s Guide to Raising Twins. You can learn more about that book at raisingtwinsbook.com and get a copy for yourself. This book will guide you from the newborn phase through infants, toddlers, and beyond. 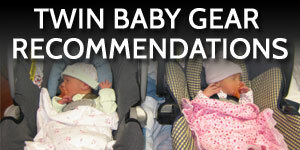 Again, check it out at raisingtwinsbook.com. Joe: Now, let’s jump right into our chat with James. Today I’d like to welcome to the show, a fellow father of twins, James Frazier. Welcome to the show, James. James: Thanks, Joe. It’s nice to finally get to talk to you a little bit in person. Joe: Well, tell us about your twins right now. How old are they? And what’s kind of the most exciting part about this age? James: Right now we have twin boys. They are fraternal twins. They are 16-1/2 months old which is, for me, the older that they get, the more interactive that they get, and that’s kind of more beneficial for me. I’m an active dad. So when they were kind of small and laying around pooping and that was about it and sleeping, I was a little bored, but now that they are puppy monkey babies and jumping and crawling and getting into everything, it’s definitely keeping me busy. James: I would say my favorite part right now is the fact that they’re looking towards us. They’ll turn back when something happens. When they’re scared, they reach for dad or they’re starting to reach back for hugs and give kisses. And the exchange there is hugely rewarding for me. Joe: Yeah, that is a fun phase when they migrate away from just purely survival mode to where they’re little people that you can interact with and their personalities start to shine and it’s a lot more active as a dad. That is a fun season. James: It definitely is, especially for having two boys. They are completely into nature. All they want to do is be outside, and it’s about the exploration of it now, which makes it, for me … That’s kind of how I grew up, so it brings it full circle to watch them want to go get dirty and get messy. It makes it all relevant. James: To tell you a little bit about our family, my wife is a labor and delivery nurse, a charge nurse. So she comes in quite handy. She also helps run the pediatric unit at a local hospital here in Rio Rancho, which is a suburb of Albuquerque. So her knowledge and everything going through all of this totally helped me stay at ease. James: And I am basically a small business owner. I run our family business. We own a company that cleans up after dogs for a living. So my life is basically wrapped around poop. I go to work and I use tools to pick it up and then I come home and I digress and use my hands. Joe: Nice. So are you able to stay home when your wife’s not working to watch the kids? How’s that arrangement work? James: Yeah. Our arrangement is so amazing, and we’re so blessed to have it the way that we do. She, being a nurse, works three 12s, sometimes four. So she tries to work every other day. And I work four days a week, usually about 25 to 30 hours, and then I’m at home. So we try and spoke wheel. I usually get the kids all day Saturday, so we refer to that as Dadurdays. And then on days that she works and I work, usually they go to either my mom’s or her mom’s house, so the grandmas, which as soon as the kids were born, my mother-in-law retired. So, having those hands have been a huge, huge blessing. And then having my mom there as well for backup gives us a couple of days a week where they’re gone kind of that eight to five range, so. Joe: That’s a good arrangement. So your mom and your mother-in-law live fairly close to you. James: Yeah. We are all within about a five or six-mile radius, and actually my brother and his wife live the closest to us. So yeah, we’re all interchanging with kids, and it’s hugely beneficial to live close to people that are able to help. James: I mean, with us, we spoke wheel it. So days that … Like I said, basically we have our family day on Fridays or Wednesdays, and then my wife picks up her shifts. And I work spread out over four days, which is … Instead of doing eight-hour shifts, it makes it better for me to kind of do six hours gone and then I can pick them up from their nap and they’re home with me in the evening. And there’s this really cool app that’s called Marco Polo. I don’t know if you’re aware of it, so our mother-in-laws send us videos of the kids throughout the day. We know who they’re with and the people that are raising them, which it … and it saves on so much money. What people don’t tell you when you have twins is that if you look into childcare, you can’t just drop your kids off for a day. It’s usually you gotta pay three days or a week at a time, and it’s not a buy one, get one free type thing. James: So having the mother-in-laws and our schedule the way it is, I mean, we’re saving a mortgage payment in childcare. And then they’re being raised by family members whom we trust. Joe: Yeah, that’s a wonderful arrangement. I know a lot of parents, they struggle with the childcare expenses like you’re describing. Causes a lot of big decisions to be made, so I’m glad you’re able to have a good arrangement there with your family so close. Joe: So James, as we rewind the clock a little bit and look back to when you first discovered you were having twins, tell us a little bit about that experience and how you came to that. James: We got married young. I’ve been with my wife for 18 years. We’ve been married for 15 years. We kind of got married and wanted to get through school and get settled in careers and jobs and kind of put babies on the back burner. Then of course, all of a sudden you’re married for six years and want to start trying to have kids. So, six years later, we’re trying to have kids. Now we’re 12 years into our marriage and we ended up having a miscarriage and that was really hard. James: So we took kind of a break from pursuing children and started looking into treatments. Is there something wrong? What’s going on? Never got any definitive conclusions there. So we started thinking, we have this desire to be parents. So I was listening to Jonathan’s podcast earlier today, and our story’s kind of similar. We decided to go kind of a foster route and were in the process of doing that. We have some really close friends that did IVF. They had been kind of mentoring us and talking to us about it. I was having some reservations. I was definitely hung up on it. We come from a faith standpoint, and it’s not anything faith-based that was keeping me from it. I just … I was struck that I couldn’t fulfill my role as a man. James: Anyway, a year or two into that, I kind of communed with my heavenly father, and he kind of showed me any dummy can make a baby. It takes a man to be a father. So I realized that it was more important to have kids than it was to make kids, and my heart kind of opened towards IVF. This was all during the process of foster training and such. James: Anyway, they kind of dropped the ball … CYFD did, on some paperwork issues. Anyway, in that time a spot opened up in an IVF clinic. Our parents came alongside of us and were basically, “If you guys really want to do this, it’s not a cheap process.” And they committed some financial money toward … They wanted to give, and I had to check myself there as well and open up and accept their gifts because they also wanted grandkids. James: So to wrap all that up, we started the IVF procedure. That was kind of hectic, giving shots, and all that stuff was rather hard. Sticking your wife is not an easy thing. Even with her being a nurse and her educating me along the way which helped leaps and bounds, it’s definitely a struggle. When it came down to it, we decided to go ahead and have two eggs put in, so we knew when they implanted the eggs that there was a chance that we would have twins. We decided to forego a genetic testing process. The doctor wants one healthy baby. To make a long story short, you put in two eggs. You can choose to have selective reduction if you would like. We chose not to, decided to have two healthy babies instead. James: My wife carried those 37 and three. We had a scheduled C-section which is really awesome for me because I’m an organizational nerd. So to have it on the calendar was super beneficial, plus she was on bedrest the last two weeks. Some preeclampsia had set in, and one of the twins was having some growth restriction. He was about 30% smaller. James: So we went in there. The C-section was amazing. My wife did lose a little bit more blood than they thought. They were talking about possibly a transfusion. However, she, like I said, we were delivered at her hospital. She picked the room. She picked the staff. She picked the operating room. She picked the doctor. We had the VIP treatment which was super beneficial. Everybody held my hand through the process which made that great. James: So instead of having a transfusion, one of her midwife friends gave her some liquid iron, and we were able to kind of feed her and get her blood back to where it should be. She was up moving within an hour. Both of my kids were great. One was, like I said, 30% smaller. He was four pounds 15 ounces, I think, and his name is Weston. And [Witten 00:11:47] was six pounds 12 ounces, and they were born two minutes apart. We did delayed cord clamping just to ensure and give them that little extra shot of blood. A lot of twins come out and need [inaudible 00:12:02] especially when they’re early, which ours weren’t. James: So we stayed a normal stay in the hospital. They were born on Thursday. We left on Sunday and came home, and that was probably a lot smoother than I had thought in my mind. And it was a blessing to be where we were and have the people that we were blessed to have. Joe: Yeah, that sounds like it went pretty smoothly. 37 weeks plus is a good time frame for twins, especially. You mentioned a few complications that required bedrest towards the end. How was the rest of the pregnancy? James: It did. I would say with her being twins and of course an IVF procedure, there was a whole lot of monitoring. So it was a lot of doctors’ appointments. We were a little spoiled. We got to have ultrasounds pretty much every week. So we were able to see the boys quite often. We knew they were boys right away. James: So yeah, the last two weeks were definitely hard. She is a hard one to keep down, I would say. So I just did the best that I could to try and make her minimalize her efforts, but yeah, she basically worked right up until two weeks before they were born. She took I think eight weeks off and then was right back. Joe: How did you handle your business after the boys arrived? James: So for me it’s hard. Being a family business, you don’t really get PTO or scheduled time off. It’s like if you kind of don’t go to work, you don’t get paid type deal. So my family came alongside me. I had my mom and a couple of other employees run my routes for a couple of weeks, and I basically just took my phone off the hook and lived at home for two weeks, which was … It was nice. I wish that it could have been longer, but I was thankful for even that amount of time. 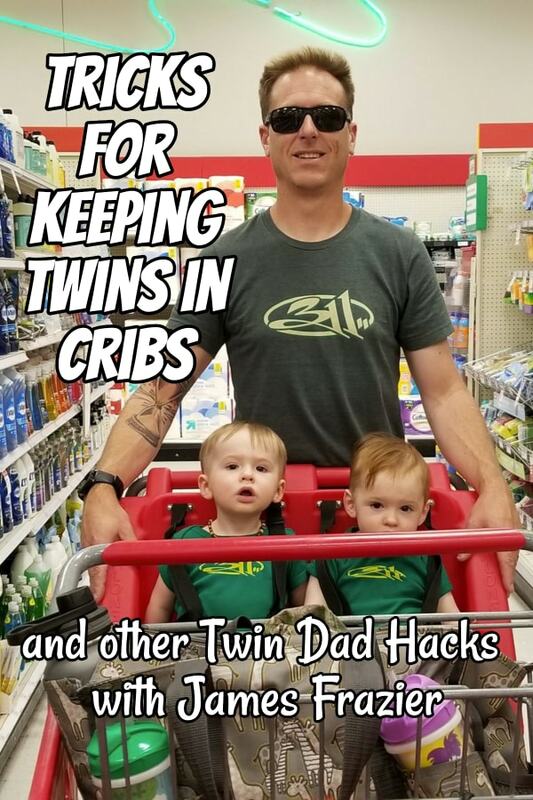 Joe: When you brought your boys home, what were some of the things that surprised you most about having twins in the home? James: The thing that surprised me most, especially at first, was all they did was they would sleep and eat and poop. I was expecting a whole lot of fussiness or you hear stories of “My twins are really colicky” or “They have a lot of reflux.” We didn’t really have any of those issues. They slept, they ate, they pooped, and that was it. James: I mean, they stayed in our room I think for about eight weeks. Two weeks before my wife went back to work, we moved them into their room, and she breastfed up until basically 14 months, tandem. Or … Yeah, I guess tandem is at the same time. So she had this twinsie pillow that said double … It’s shaped like a W. Anyway, this thing was amazing. So she used that, I mean, every day. So they were exclusively breastfed until she went back to work, and then they were put on a bottle, of course still with breast milk. James: I think the hardest part in that time for me was her supply started going a little bit low. So we had a lot of other friends that had kids at this time, and so they were giving us their extra breast milk. And the first few times you spill another lady’s breast milk on you or if your kid spits that up on you, it’s a little weird. They just learned it’s food and they ate it and they’re fine. So that was a thing that Daddy had to get over in his weirdness, but for us it was schedule, schedule, schedule. James: They go to sleep at 8. They get up at 8. We get plenty of sleep. We’re super blessed in that area. At about three months old, they were sleeping through the night completely. Not saying that they’re not in there from time to time. We’ve probably gone in a half a dozen times and had to calm them, but the way that we got them on a schedule, which is hard, was letting them cry it out at first. And what I mean by that is when they would wake up in the middle of the night and it was after a feeding and they weren’t dirty, you kind of let them cry. That was hard for about a week or two, but then they would make the proper schedule adjustments. And I mean, now at 16 months old at 7:30 they get up and go open their nursery door and start taking their clothes off. They’re ready to go to bed. Joe: What is a typical schedule like now? You mentioned when they’re waking up and when they’re going to sleep. What does nap time and feeding time look like? James: So for us, 16-1/2 months, we take one nap a day. They get up at 8 a.m. We go in there regardless if they’re awake or not. Sometimes they wake up at 7:30, and they play quietly. So we get them up at 8. They have milk and breakfast by 9, and then usually it’s an outdoor activity until noon or 12:30. Come in. We do lunch for about an hour. They go down from 2 to 4, and we don’t go in anytime during the nap time. We basically put them down, and we leave the room. James: Now, of course we have a video monitor and an audio monitor so we can be seen and heard. From time to time we do have to go in there and shush them. I will be completely honest, but then at 4 they get up. They’re given a snack right away and then usually it’s an indoor activity because we do live in New Mexico and in the summer it’s always 100 degrees. So we’ll do coloring or they can have half an hour of a TV program. Then they get another glass of milk. They eat what we eat at about 6:30, and every third or fourth day they get a bath. And then it’s to bed by 8 o’clock. James: So usually what we do is at 7:30, they go in, they get their pajamas on, go into the restroom. They brush their teeth and then we basically go in and read a book and they ask to be put in their crib. It’s great. Joe: So they’re still in their cribs. Are they showing any sign of escaping yet? James: Yeah. It’s funny that you mention that. We were … Just this last Wednesday … not yesterday or not today but last week. Last Wednesday, we got up and went in their room. I was opening the curtains. My wife was getting one twin out of the bed, and we hear, puh-pahp. And the other twin had done a full front out of his crib and had over-rotated, had splatted and knocked the air out of himself. So at that point his crib was at the lowest setting. James: So what I had to do was get in there and take the actual bottom part … I had to unbolt it completely and put the mattress on the floor. Now neither one of them are tall enough to get out, so I think we’re going to probably start the toddler bed 18 months, maybe right at Thanksgiving, Christmas time. So, looking forward to that. Joe: That should be a fun transition. Our kids were very … Our two older boys we had before the twins, they … When we took them out of the crib and we put them in their big beds, they still thought it was a crib, and they didn’t leave the bed even though obviously they could just jump off. We thought that was very interesting. That lasted for maybe a few weeks before they started just getting off a bed when they wanted. Joe: Our girls, when they moved from the cribs to beds, they wouldn’t sit still. They wouldn’t lay still on the bed. So it just kind of depends on the temperament and disposition of your kids, but it is a fun transition. James: That’s what I think. I think that we’re going to have one that’s going to be the kid that’s going to be out of the bed, but it’s funny because their personalities are just like my wife and I. The kid that did the front flip out of his bed is like my wife. He’s the sneaky little ornery kid that sleeps kind of messy, and I’m the other kid, little one that sleeps nice and tight and prim and proper. And it’s funny how they pick up different characteristics, but yeah, I particularly foresee one with a bed problem and I foresee another one with letting himself out of the nursery. James: That’s the other thing they have now. We have French door handles, and we have a custom home. We just moved in to our beautiful custom home a few years ago, so all the French door handles are super easy to open. They’re not a knob. It’s kind of like a handle. So they go around and open every door. So yeah, I’ve had to go around and figure out how to secure the doors that we don’t want them in. But yeah, I foresee one being the bed escapee and one being the room escapee. Joe: The beautiful thing about twins is they kind of feed off each other’s mischief. So if one figures it out, it’s like show and tell and the other one figures it out and away they go and they can do things together that they might not be able to do by themselves. That brought our childproofing needs to a new level because we were used to childproofing for just one kid at a time, and then they can leverage each other to reach places that a single child could not. James: It’s hilarious. And the other thing that … I don’t know if your girls did this, but we have to be careful how we tell one twin no or how we stop a twin from doing something that we don’t want. We were just at a family dinner the other door, and my one twin is splashing in my dad’s fountain out front. Splash, splash, splash, and of course my dad doesn’t want him to splash in the fountain, but he doesn’t understand. It looks like a water table to him. James: So as we’re sitting around, I tell everybody that’s sitting at the table, my whole family, “Watch. I’m going to tell this twin, stop, and let’s see what the other twin does.” So of course I tell Witten, “Please stop playing in the water,” and Weston drops his toys, comes running across the lawn to of course splash in the water so that I could also tell him no because you have to repeat yourself. Joe: Yeah, we struggled with that too, and we tried to flip it around where if one of the twins is doing the right thing, we would try to give some positive praise and encourage them into that activity with the hopes that the other twin would see that and want the same praise and therefore stop the bad behavior that they were doing. And that’s worked a lot of the time, but not always, but it’s something worth trying for sure. James: Yeah. That’s a great idea. I’ve also learned that it’s also … It’s fairly easy to redirect a 16-1/2-month-old. So you can simply go up and give him something else, and he will quietly stop playing in the water. Joe: Enjoy that while it lasts because their attention span continues to grow. That’s for sure. So as you look back over your twin journey so far, what are some things that you’ve been able to do to keep your marriage strong with your wife through the pregnancy and now with toddler twins? James: That’s a great question, and I love that you asked this question because that’s the most important relationship is the one with your spouse. And that’s the one that needs the priority and the one that needs the focus. With a strong foundation, you can build any kind of structure that you want. What I say is it’s about sacrifice, and it’s about putting the other first. I know that that sounds trivial, but it really is, and I think your previous guest said it best. You don’t enter into marriage in a 50/50 contract, especially when you have kids, and that’s why I’m thankful that we were a little more mature in our relationship before we had kids. We had a nice strong foundation, but what I can say is it takes time to make time, but you have to take that time. James: It doesn’t have to be something grandiose. You don’t have to spend a bunch of money. Take your wife for a walk. Look at some of the public events. We just went to a little barbecue thing that they had at the fairgrounds down the street just to go out for a couple of hours and eat some food. James: So I would say take a couple of hours at least every week just to check in with each other, just to see how each other is doing. The other thing that I would say is don’t have unspoken expectations. If there’s something that’s not being done or if there’s something that you don’t quite agree with, don’t be afraid to speak up. Have open communication with your spouse, and the biggest piece of advice that I would say is to not get defensive. James: Just relax and stay open and be able to receive constructive criticism. Especially for me, I’m almost 40. I’m going to be 38 years old this year. I’ve never been around kids. So it’s super beneficial to have my wife tell me certain things about if they’re acting this way or if he’s grabbing his ear or if he’s rubbing his jaw or just little signs for teething or little other things that I wouldn’t recognize. It’s super beneficial to have an open line of communication. Joe: Yeah, those are great tips. Everything from spending time together, making time to spend time together to keeping those communication lines open. Otherwise, as you said, you can’t have unspoken expectations because those can fester and cause some trouble down the road. Joe: So James, as we wrap up today, if listeners would like to connect with you, what’s the best way to get in touch? James: I would say just my Twitter handle which is jimbo_frazier, and that’s it. Or my Instagram I think is jennandjamesfrazier, and that’s all one word. That’s the best way to get a hold of me or originalpoopbuster.com. Joe: Excellent. And I’ll link to all of those in the show notes so listeners can find those. 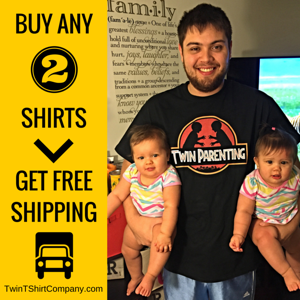 James, thanks again for spending time with us and sharing your twin story. James: I sure appreciate you taking the time to talk with me today. Thanks for what you do for twin dads as well. Joe: I hope you enjoyed the conversation with James today about his journey from infertility to having twins and to raising them to very active toddlers that they have today. Joe: If you want to connect with James, I’ll link up to his contact information and social media in the show notes for this episode over at twindadpodcast.com. 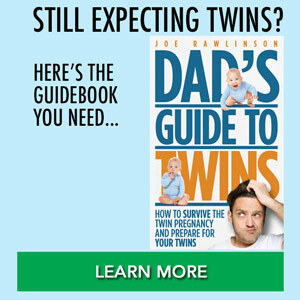 Again, today’s show is brought to you by my second book for dads of twins. 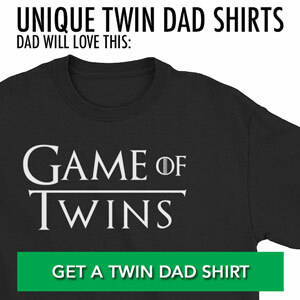 It’s called Dad’s Guide to Raising Twins: How to Thrive as a Father of Twins. You can learn more about that book and pick up a copy for yourself at raisingtwinsbook.com. Joe: Thank you so much for listening, and I’ll see you next time.